High school students often ask about mathematics “When will we ever use this in the real world?”. In fact, researchers in mathematics and computer science are making new discoveries all the time. These discoveries are being applied in some surprising contexts - in industry, finance, medicine, the environment, and the justice system, to name just a few. Modern mathematicians don't just work in isolation - they collaborate with doctors, environmental scientists, lawyers, engineers and experts in many other fields on applications that are changing the world in powerful ways. Explore some real-world problems being solved by mathematicians. 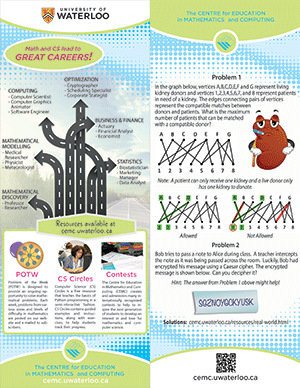 For each real-world problem, try your hand at a related mathematical problem. These problems are designed to be accessible to students in grades 7-8 and later. Solutions are provided. 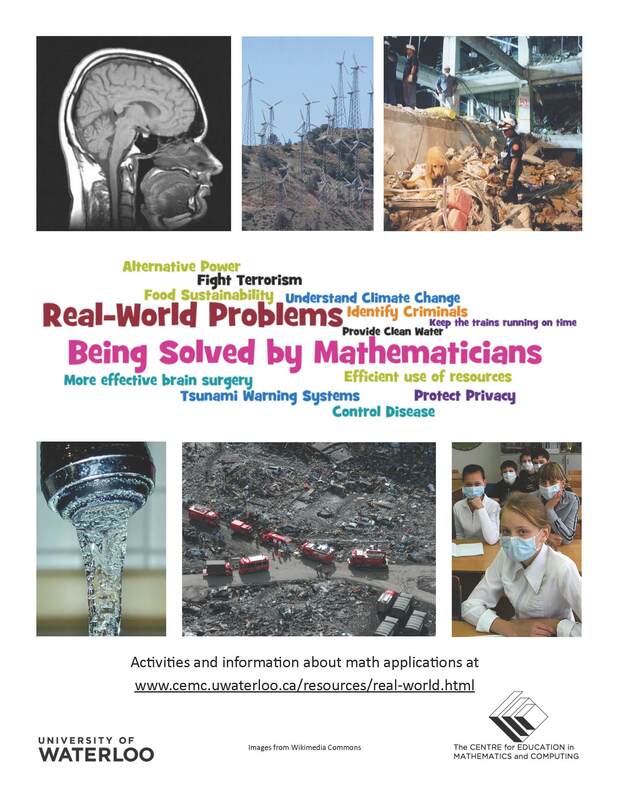 A PDF document highlighting these real-world applications of mathematics is available for download.